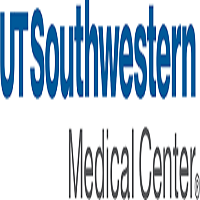 The University of Texas Southwestern Medical Center, Department of Emergency Medicine is currently recruiting for a faculty member at the Assistant Professor level. Qualified candidates should be BC/BP in Emergency Medicine and possess or be eligible for a Texas Medical License. Emergency Medicine (EM) at UT Southwestern (UTSW) and Parkland Health and Hospital System is expanding its faculty in both general EM and subspecialty areas. The Parkland Emergency Department is an ACS Level I Trauma Center triaging approximately 220,000 patients per year, treating 135,000 high acuity patients, and also operates accredited regional Burn, Stroke, and Poison Centers. The three-year EM residency program gives faculty the opportunity to work in a productive teaching and learning environment. Opportunities for subspecialty activities and research are encouraged as we oversee several federally designated centers of excellence. For those wanting to expand their EM training, we offer fellowships in Toxicology, Disaster Medicine, EMS, Pediatric Emergency Medicine, and Emergency Ultrasound. Appointment rank will be commensurate with academic accomplishments and experience. Consideration may be given to applicants seeking less than a full-time schedule. UT Southwestern Medical Center ranks among the top academic medical centers in the world. Our distinguished faculty includes active Nobel Prize winners. Nearly 4,200 medical, graduate and allied health students, residents and postdoctoral fellows are trained each year.